As many readers of the The Health Coach know, we use medical astrology quite a bit in our health coaching, consulting and counseling practices. There are many ancient schools of astrology that we routinely employ in the conduct of our wellness counseling. Most are familiar with Western astrology, Vedic astrology (also known as Jyotish), Chinese astrology, Mayan astrology and Egyptian astrology. However, there is one relatively new system of astrology that we have found to be particularly powerful for those going through a deep healing process. We call it Lunation Cycle astrology and find it to be very effective in a wide range of health and wellness contexts. Those who we have coached over the years are well aware of our “sermon” on the effects of the emotions on one’s health. When it concerns the mind~body~spirit connection, it is the emotional body where the disease process often begins…and also where it can be cured permanently. We all know that the mind plays a prominent role in the healing process, no matter what the health challenge. When thoughts — positive or negative — are emotionally charged, they can and will affect the body and its physical functions. When those thoughts are highly charged with emotional energy, they will have a much greater impact on the human organism. The critical point here is that the mind and emotions are almost always the key element in the evolution of a disease process. Both the exacerbation and the alleviation of illness can be significantly altered with the inherent power of the mind and emotional energy. With this vital understanding, it’s much easier to comprehend why Lunation Cycle astrology can be a powerful tool on the healing journey. Because this relatively new system of lunar cycle astrology focuses on the moon, it opens a new window into the mind and emotions. Lunation Cycle astrology shows us the regular progression of unique periods of our life, which every human being experiences under the influence of the moon. Because of the major influences that the moon exerts on humanity, both individually and collectively, Lunation Cycle astrology offers a new lens through which to see these effects. For the individual who is challenged by medical ailments and/or health conditions, either acute or chronic, they will find penetrating insights that no other tradition of astrology can offer. We have found the formal report produced by CosmicWindow.com to be one of the best sources for practical Lunation Cycle astrology. 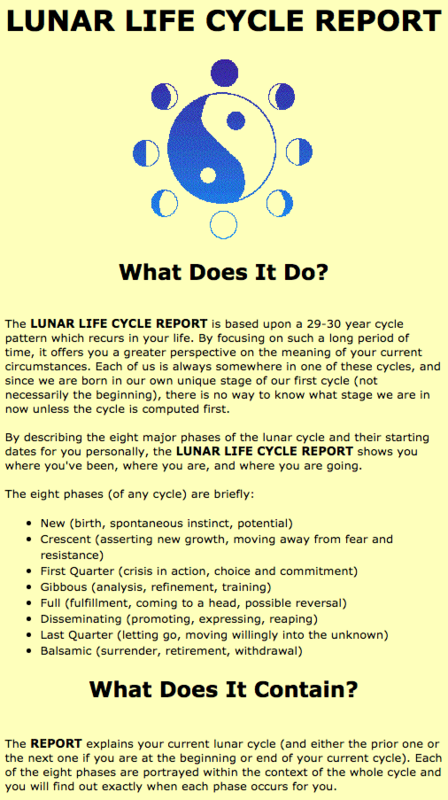 Known as LUNAR LIFE CYCLE REPORT, this nicely presented summary provides a “personal 29-30 year cycle where you can examine the eight phases of the cycle” including the current cycle. For anyone who is interested in learning more about this elegant and compelling astrological system, please click on the following link: http://cosmicwindow.com/PLC.html. You may also call astrologer Philip Levine at (800) 426-6881 to order this report or discuss other meaningful readings. What follows below is a screenshot from the same website which also furnishes a short description of what a buyer can expect from the LUNAR LIFE CYCLE REPORT. The Health Coach highly recommends this tool for alternative healthcare providers and practitioners alike. The healing journey can be made far less difficult and much more pleasant with this essential knowledge. 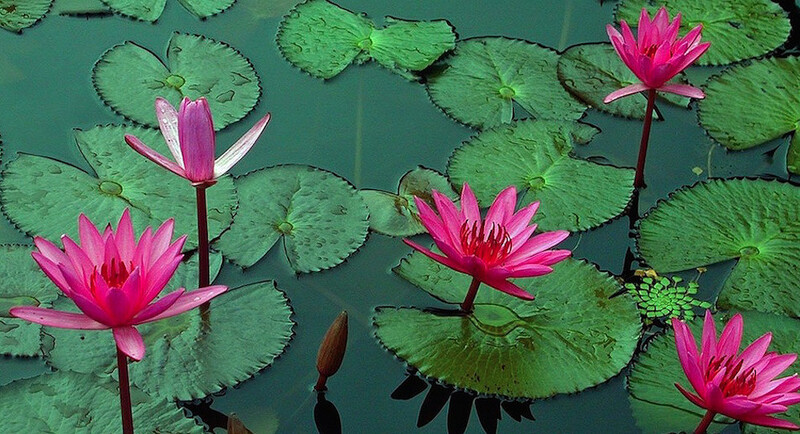 The wisdom contained in this lunar cycle approach is simply too important to ignore.